Tummy Tuck Sydney? Get your FREE Consultation Here! Schedule Your Tummy Tuck Consultation Today! If you’re unhappy with your abdomen, a tummy tuck can help. See the beautiful results! Abdominoplasty or ‘tummy tuck’ is a cosmetic or reconstructive surgery to tighten muscles that become loose or separate following pregnancy, or to remove fat and extra loose skin from the abdomen after massive weight loss. In most cases, it will restore weakened or separated muscles, help alleviate pain, improve bladder function, reduce itching and skin infections caused by excess skin, and change the shape and tone of the abdomen to create a firmer and smoother profile. Abdominoplasty is not a substitute for weight loss or an appropriate exercise program. It may be possible to achieve a flatter stomach without surgery, through healthy dieting and exercise, but not always. Many surgeons recommend that abdominoplasty should be considered only after dieting and exercise have achieved the right body shape underneath. 1. What is Tummy Tuck Surgery? A Tummy Tuck, also medically known as an Abdominoplasty, is a procedure that can help tighten the skin on the stomach area as well as your abdominal muscles. This is often done together with liposuction to create firmer and flatter abdominal area. There are different types of tummy tuck performed according to the specific needs of the patients. 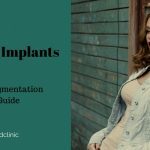 This includes the standard tummy tuck, mini tummy tuck, and extended tummy tuck. Your surgeon will advise you on which of these would be appropriate for you. 2. Who requests for Tummy Tuck surgery? A tummy tuck is often requested by people who have lost weight and are dealing with excess skin and stubborn fats. A significant amount of skin that has been overly stretched for a long period of time can’t be tightened with exercise or creams alone, which is why surgical removal is necessary. Abdominoplasty is often performed under general anesthesia (you sleep through the procedure). It can also be performed using a local anesthetic with a sedative. There may be some discomfort with local anesthesia. Time in surgery is about two to five hours. A tummy tuck usually begins with a long incision across the abdomen, from hip bone to hip bone. The shape of the incision is like a V, with a flat bottom. The flat part of the V occurs at the bottom point of the abdomen immediately above the pubic area. The sides of the V form angles along the pelvis up to the top of the hip bone. A second incision is made to free the navel from the abdominal tissue. Recovery from a tummy tuck procedure can often take about six weeks, but this will vary for each patient. The patient is usually advised to return to work four weeks after surgery. This is why it is important to follow the surgeon’s advice, especially with post-operative care so that you avoid complications and prolonged healing time. Pain relief is also an important aspect in healing. You will be prescribed with analgesics to manage any pain, particularly on the incision site. You may also be advised to wear an elastic garment to support the area. This is to help it follow the new form and prevent swelling. A tummy tuck procedure can help manage the problem in your abdominal area by addressing loose skin, muffin tops, and love handles.